Home > Tio Pablo Salsa Picante de Piña. GLUTEN FREE! 250ml. 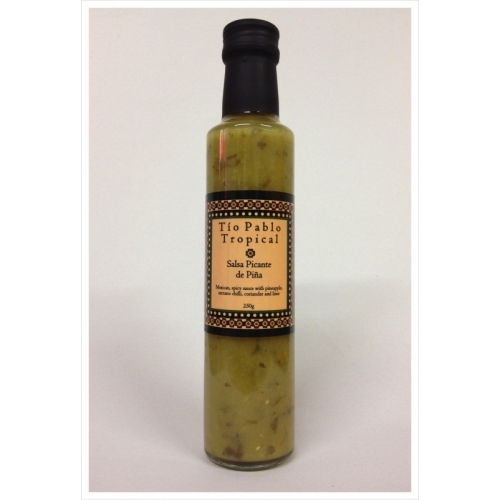 A fruity, pineapple sweet sauce with a healthy bite of serrano chilli and the tangy zest of lime and coriander. Add to any dish for a spicy, tropical kick.